The spotting information is immediately entered into a comprehensive list where the data can be sorted, filtered, arranged and printed in a variety of formats, ready for artist, engineer, producer etc. 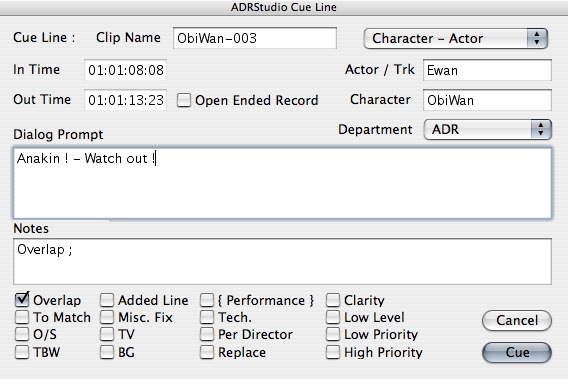 ADRStudio prints professional re-recording scripts in a variety of formats which can be easily customised by end users with an HTML editor. During re-recording, the ADRStudio application controls Pro Tools from the ADR script, automating all aspects such as record enabling tracks, generating beeps, muting/unmuting playback channels during the take, automatically naming cues, and interfacing with external units for streamers and GPIs, and even controlling a safety machine like a DA-88 via MMC. Subsequent takes are stacked up inside Pro Tools and can be accessed with Apple-Click for comping versions, or bringing the circle take to the top. 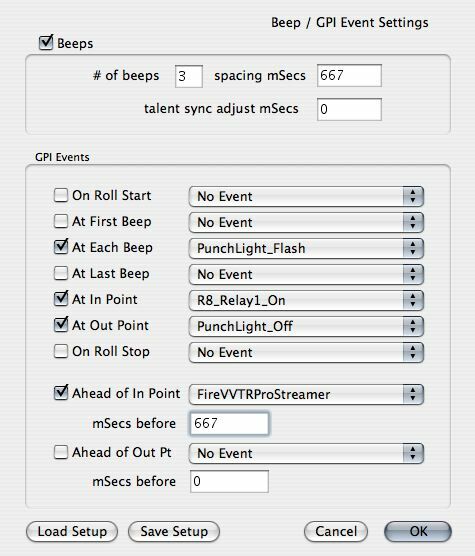 ADRStudio has a sophisticated GPI event sequencer which can trigger user programmable events at various stages during the roll. 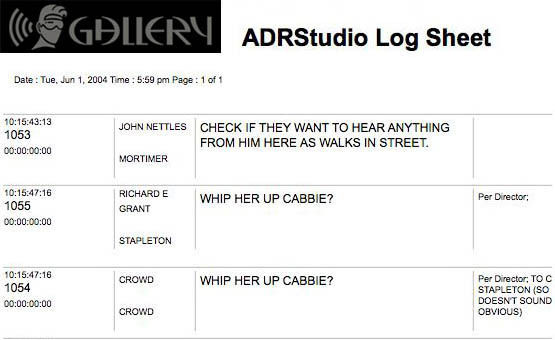 Whether you need to turn Air Conditioning or a Plasma screen fan on and off, control a red light, start and stop an MMC safety machine like an DA-88, or you have some other studio control requirement, ADRStudio can handle it. You can easily program your own GPI event using simple XML files. 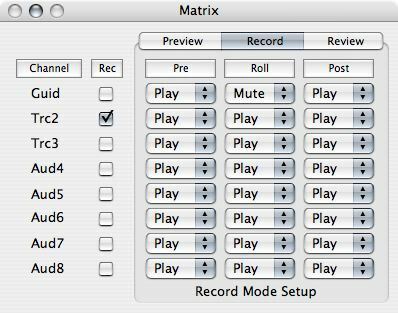 ADRStudio has a programmable muting matrix for each mode (preview, record and review), which independently controls the mute / input monitor status of each track during the course of the roll.